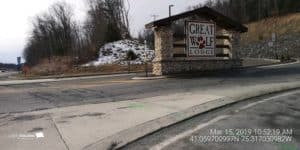 One of the leading causes to utility damages is simply that the utility could not be located on the surface using standard geophysical electromagnetic equipment. 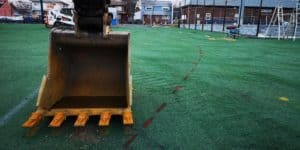 Using ground penetrating radar can eliminate most, if not all of these damages on your construction and engineering projects. Because of the cost of GPR units, combined with the experience needed to effectively operate the device, most Call 811 locators do not carry or use them. 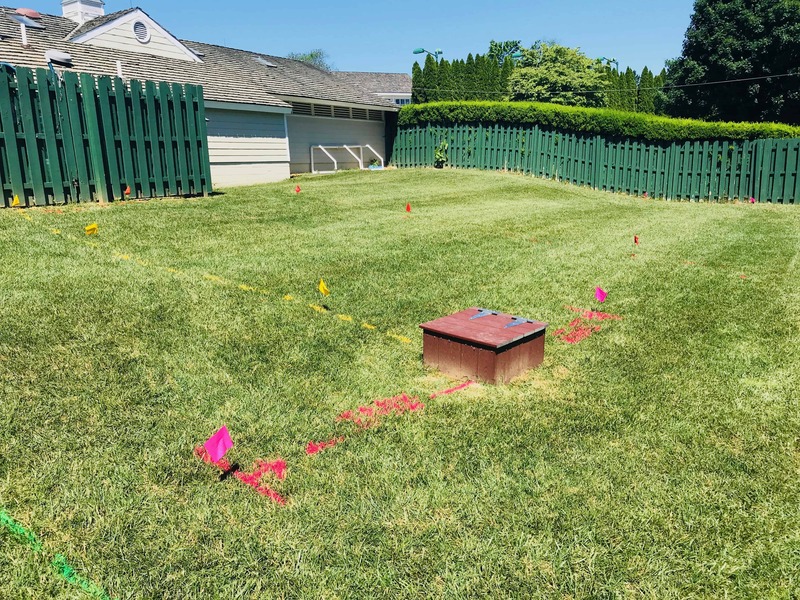 Utility Locator, LLC can survey your project site with ground penetrating radar to ensure that all locatable utilities have been detected and marked-out on the ground using paint and/or flags. Need more documentation? 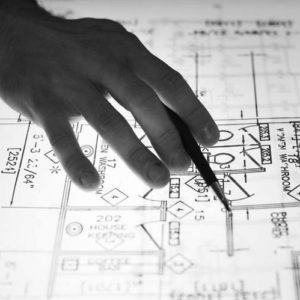 Consult with an industry expert today about additional forms of documentation including GIS or CADD Mapping capabilities. Utility Locator Inc provides Ground Penetrating Radar Services to clients in support of our private utility location services. GPR is used to find both conductive and non-conductive pipes, cables, and buried objects below the surface. Ground Penetrating Radar systems work by transmitting a radio signal through the earth. The transmitted signal will reflect off of both native earth materials as well as man-made subsurface structures or disturbances. The reflected radio waves will travel back to the GPR unit at different velocities. The velocity of the signal is dependent upon the conductivity of the material for which it was reflected from. Using GPR, we may have the capacity to identify the presence of both conductive and non-conductive pipes, cables, and structures such as underground storage tanks (UST), manholes, slabs, foundations, and vaults. Can GPR find buried structures or tanks? Yes! Ground penetrating radar has the ability to detect various objects buried below the surface. Because ground penetrating radar does not rely on a closed circuit, as electromagnetic scanning does, it has the ability to detect all sorts of metallic and nonmetallic objects underground. Objects that can be detected include underground storage tanks, lost or buried manholes and vaults, buried utilities, and even variations in soil compositions and conductivity. 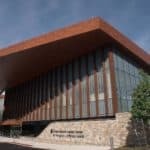 Can ground penetrating radar detect objects under concrete? 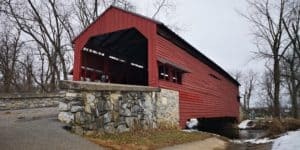 The answer to this question can vary depending on the properties of the concrete, however, in general Yes, ground penetrating radar can detect objects below concrete surfaces. 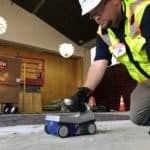 Not only can objects be detected under a concrete surface, but we can utilize specialized GPR antennas that are capable of detecting smaller objects embedded with in the concrete itself. Examples of this may include electrical conduits and post tension cables. 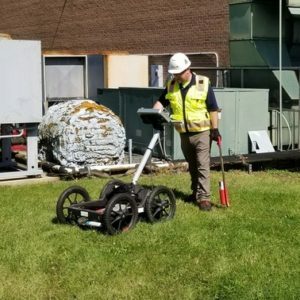 Factors that limit the effectiveness of ground penetrating radar to detect buried utilities under concrete services include the material composition of the utility, reinforcement present within the concrete, and the depth of the target utility. What type of site conditions can ground penetrating radar be used in? Ground penetrating radar can be used in almost all site conditions with very few limitations. Most GPR units are about the size of a walk behind lawnmower. The GPR survey area will need to be accessible to the technician and the GPR unit. The area must also be relatively dry as the ground penetrating radar unit cannot be submerged. How deep can you detect utilities with GPR? In general, we can detect underground utilities and structures that are buried within 3-5 feet of the surface. 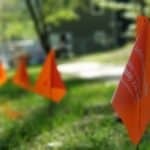 Our ability to detect underground utilities could be effected by a variety of variables including the utilities size or material composition, the soil composition, and the technology used to detect the utility. 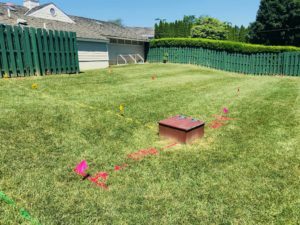 Can ground penetrating radar detect unmarked grave sites? Yes! Ground penetrating radar uses the reflection of high frequency radio waves to detect objects buried below the surface. GPR has the potential to detect any non-native material buried in the ground.